UFO SIGHTINGS DAILY: Cloaked UFO Orb Moves Around House Security Cam In Peru, Aug 2016, Video, UFO Sighting News. 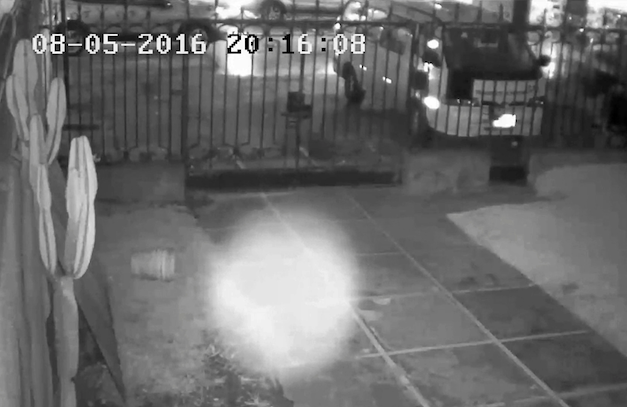 Cloaked UFO Orb Moves Around House Security Cam In Peru, Aug 2016, Video, UFO Sighting News. UFOs come in all shapes and sizes. Baseball size UFOs have been seen, reported and even photographed...I witnessed one 4 meters away once on a roof. This one is cloaked. The security cam is equipped with an infrared LED lights that allow it to see at night, but also can see anything thats normally invisible to the naked eye, like this cloaked orb. Awesome catch.